Phyllis Anderson has been painting for nearly three decades. 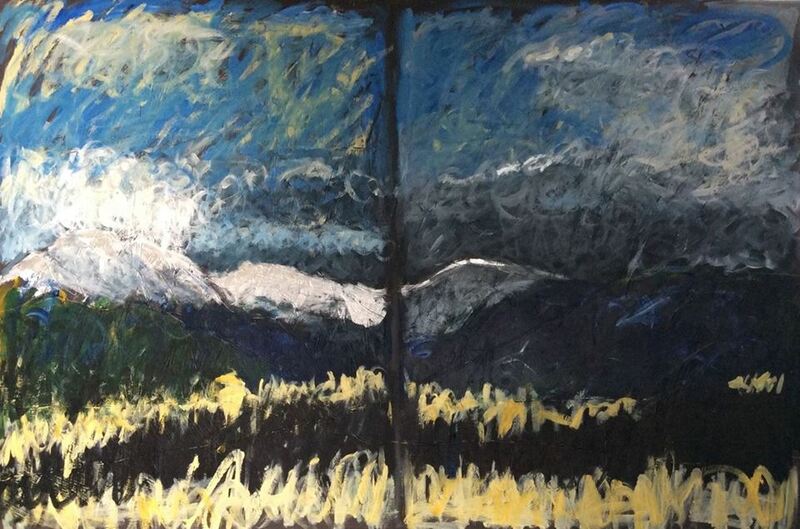 Her current series, High Country Variations, explores expressionist and abstracted versions of western landscapes. This process is less about serene contemplation than concern over the degradation and disappearance of those places. Some paintings feature slashing brushwork and incised lines that scar the surface, suggesting an anxious relationship with nature. Others celebrate the transformative possibility inherent in the wilderness experience through dancing color and the immediacy of the gesture. Throughout the Variations series, subject and technique merge into metaphor, to illustrate the power & energy found in remote places.